Website Has 22 Stencils. You just pick the one you one, print it… then carve your pumpkin! Photo Source, Fantasy Jr.
Do you want to try making unique pumpkin stencils? Why not try to carve your very own. I have located a website where you can select any of the 22 designs and just print the one you want. Once you have it printed, you place it onto the pumpkin and begin carving the printed area only. Here’s how to apply the stencil to carve your unique shape into the pumpkin. Learn how to Etch A Pumpkin instead of carving it all the way out. You can use the templates above for this concept too! This entry was posted in Crafting Shows and tagged crochet crowd, Do it yourself, Etching, Halloween, Holiday, Home, Jack-O-Lantern, pumpkin, Stencil, Templates. Bookmark the permalink. 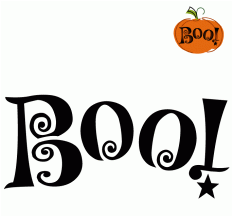 Pingback: Pumpkin Carving Safety Tips | Kimberley Vassal Insurance Services, LTD.